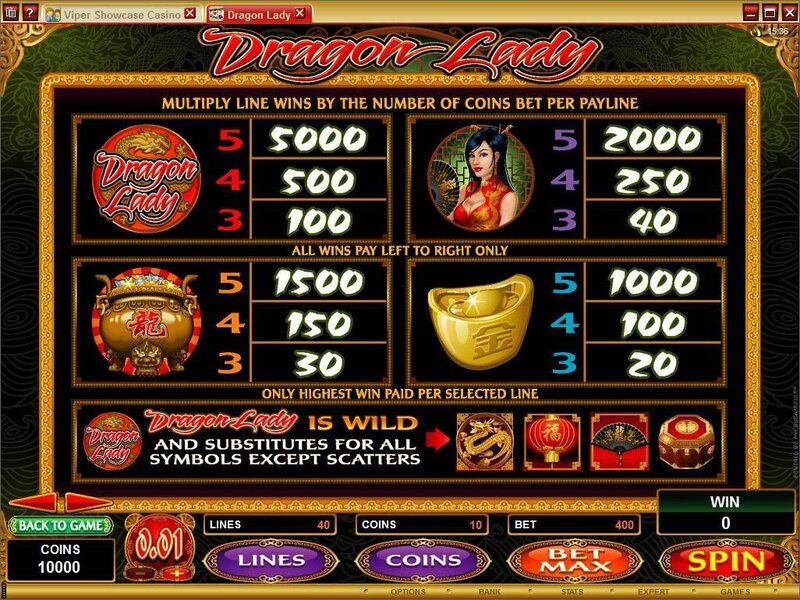 Overview: Travel to China this week as we launch a new multi-featured online slot with loads of action and a magical oriental feel titled DRAGON LADY. 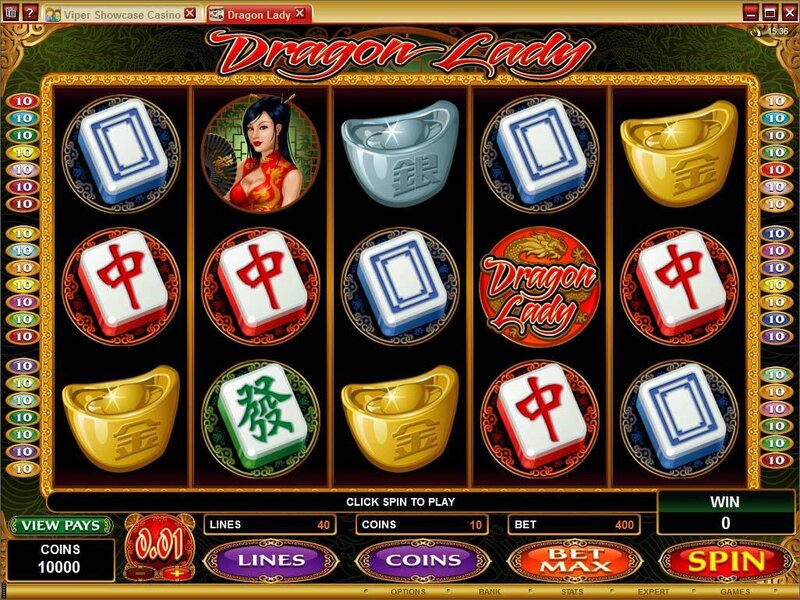 The oriental theme is carried by some of the best video slot illustrative work we've seen in a long time, depicting exquisitely detailed and delicately coloured fans, lanterns, jewellery boxes, gold and silver ingots and even the tastefully tattooed Dragon Lady herself. 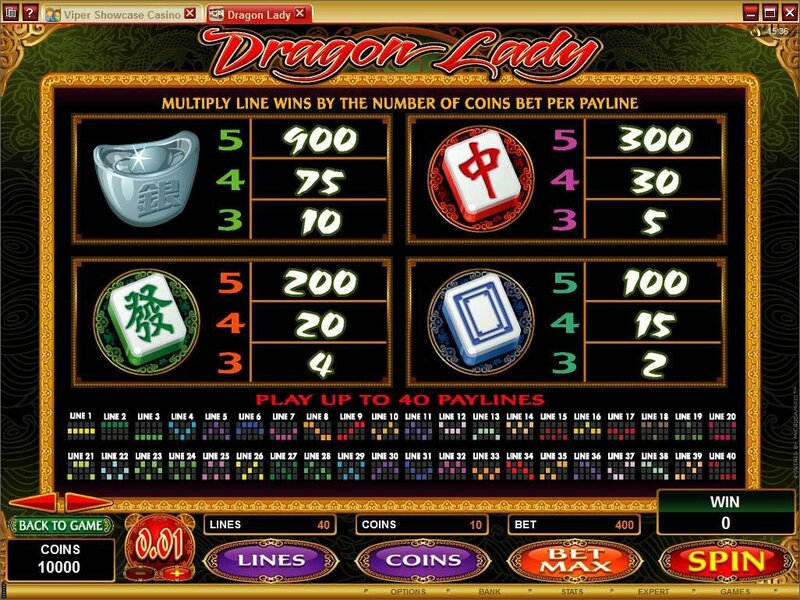 This 5 reel, 40 pay-line game has a wide range of features that includes a second screen bonus game, Free Spins galore, generous Multipliers, three different Scatter symbols and the Wild Dragon Lady, who not only helps players to build those winning combinations, but is on hand in the bonus game too. 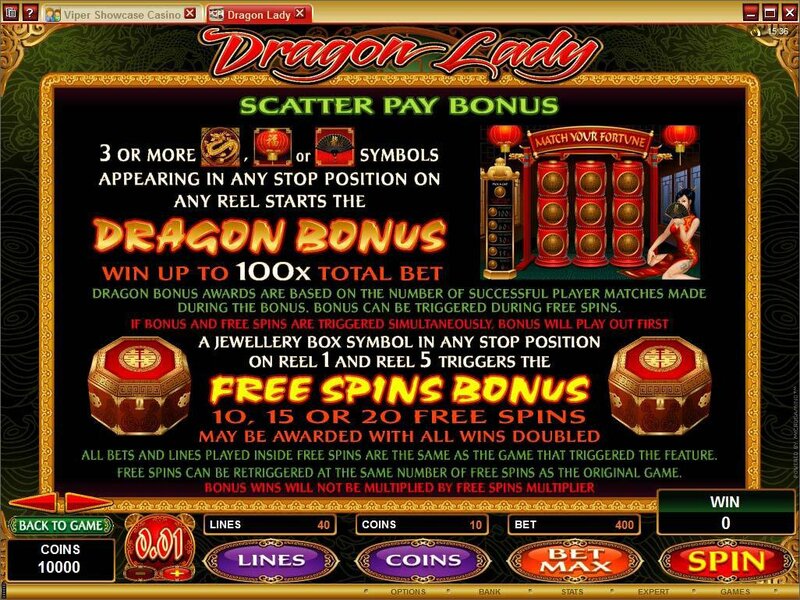 3 or more Scatters - fans, dragons or lanterns - in any stop position on any reel triggers the magical Dragon Bonus in which players are given 4 opportunities to match caps from a selection of nine. The rewards are five different Multipliers ranging from 2x to a massive 100x. The beautifully crafted Jewellery Box is another winning opportunity when it appears in any stop position on reels 1 and 5, triggering a potentially lucrative Free Spins feature in which 10, 15 or 20 free spins are awarded, each carrying the potential to double the player's winnings. 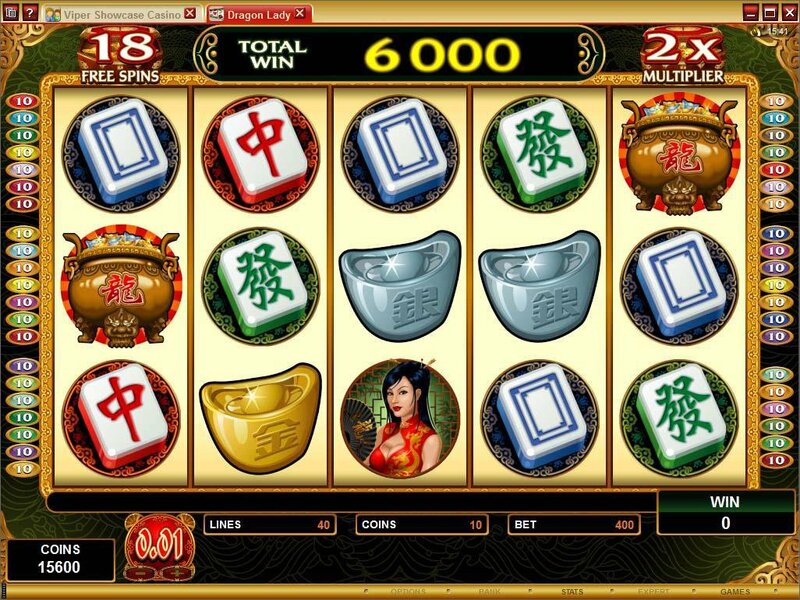 Similar Slots: If you like Dragon Lady, you might like these other 5-reel slot machines: 5 Reel Drive, Days of the Tsar, Glory of Rome, Hellboy, Prime Property, Summertime.